For those who want much more than this provincial life. Surprise! Barnes & Noble carries way more products than just books! From board games to toys, you can easily do all of your holiday shopping in a single stop. Crazy, right? I'm quite the bibliophile myself, so when I think of Barnes & Noble my heart flutters a bit. Which is why it's BEYOND thrilling to me to discover that gifts for everyone can be found here — even if books aren't at the top of their wish lists. 1. The "What Do You Meme" card game, which is fun for the whole family to play. This game is a great gift for a variety of ages. It comes with 270 cards total, an easel, and a set of bonus rules. It's a very simple game that encourages players to compete to create the funniest meme — even grandma can play, despite not being familiar with the recesses of the internet! 2. Whiskey in a Teacup, a guide to Southern living from one of the classiest ladies around, Reese Witherspoon. Whether the intended recipient is a diehard fan of Sweet Home Alabama or Big Little Lies or maybe they're about to relocate, this book is sure to become a favorite. Reese's fabulous creation makes for a lovely addition to anyone's coffee table, but the real magic will happen when they open it up. This book is filled with tidbits on Southern style paired with contemporary flair. Price: $22.46 (for a signed copy, originally $35). 3. A sleek pen that will make any dog lover smile each time they pause to doodle or take some notes. Doesn't this pen just make you happy? Its adorable resemblance to a dachshund makes it a wonderful gift for people who love pups, need a new decoration for their desk, or just really appreciate a nice ballpoint pen! 4. The A Star Is Born soundtrack on vinyl for your friend who just won't stop talking about this movie. It's no secret that A Star Is Born was a huge success. This gift will for sure make anyone who enjoys both 1) the movie and 2) records on vinyl very happy this holiday season. Price: $35.99 (available on CD for $12.99). 5. The Nook GlowLight 3, which will have your bookworm buddy jumping up and down with excitement. The Nook allows you to read comfortably at any time of the day thanks to its Night Mode abilities. It also has a soft-touch finish for easy gripping, and page-turning buttons for a seamless reading experience. While I'm a hardcover kinda girl, I have friends who swear by their Nook — and I may just be able to be convinced to pick this up for myself! Price: $119.99 (available refurbished for $89.99). 6. This soothing mini candle from Magnolia Home to add a dose of calmness to anyone's home. No one doesn't love receiving a candle, and that's a fact. I personally have an entire drawer filled with them...and still wouldn't mind being gifted another. This 3 oz. candle burns for 20 hours and has a charming scent inspired by red berries, warm vanilla, and honeyed amber. Highly recommended for the person on your list who continues to stump you each year. 7. The History of Gangster Rap for the music lover in your life who wants to learn more about the evolution of this genre. Do you have a BFF who's always going to concerts and discovering new music? Play up their favorite hobby by gifting them this awesome book. Written by Soren Baker, the tome includes a foreword from Xzibit, 16 informative chapters, and a whole lot of interesting facts about the rise of rap. 8. This unique Harry Potter Funko Pop! set that is likely missing from your bestie's ever-growing collection. Exclusive to Barnes and Noble, this tribute to the memorable time where Harry, Ron, and Hermione learned how to care for mandrake plants is freaking adorable. This set will surely please any Funko Pop! collectors this holiday season. 9. Chrissy Teigen's Cravings: Hungry for More cookbook for the person in your life who wishes they were part of the Teigen + Legend clan. OK maybe that person is also me. And maybe I already own this book... and the first edition of Cravings as well. I love Chrissy... SUE ME! But not only is this item fun if you're a fan, it's actually filled with amazing recipes everyone can pull off. The second installment of Cravings features instructions that are easier for someone on-the-go, making it easier than ever to actually make one of these meals! 10. This pair of cozy socks, because the gift of comfort simply can't be matched. I'm not lying when I say, without fail, I receive a new pair of comfy socks every holiday season. And I'm never disappointed about it! How nice would it be to get a gift basket filled with soft socks, hot cocoa, and a good book? This set features a faux fur lining that will keep your lucky family member or friend snug like a bug. 11. The Wonkey Donkey picture book that made a grandma go viral and will have everyone in your life LOLing. Despite being published in 2010, this picture book starring a silly donkey has become a recent best-seller. It's a perfect story for reading aloud to little ones, making it a great present for kids and adults alike. The purchase also comes with a free downloadable song. Hee-haw! 12. This Totoro calendar, which will never go out of style on a home or office desk. Don't tell my husband, but I've seen him eyeing this exact calendar every time we've perused Barnes and Noble. And I can't blame him — it's adorable! 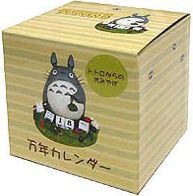 Totoro is one of my favorite Studio Ghibili characters and chances are he is one of your friend's faves, too. 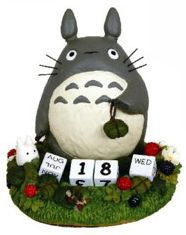 This fun calendar will fit perfectly the desk or in the kitchen window of your My Neighbor Totoro-loving buddy. 13. A Tamagotchi that will happily transport the gift recipient right back into the '90s. Can you believe it's been TWENTY years since the debut of the Tamagotchi? I can remember when I got my first one and how much fun it was taking care of it. The revival of this classic toy now gives you the chance to share your childhood memories with someone else. It lets you feed, play, and take care of a little virtual pet — who wouldn't want that? 14. This tribute to Mister Rogers in case you're hoping to make a parent cry this holiday. Happy tears, of course! If you can remember watching Mister Rogers' Neighborhood with your parents, you can be sure they remember watching with you too. They'll love reliving those memories while learning about an American icon through The Good Neighbor: The Life and Work of Fred Rogers. 15. 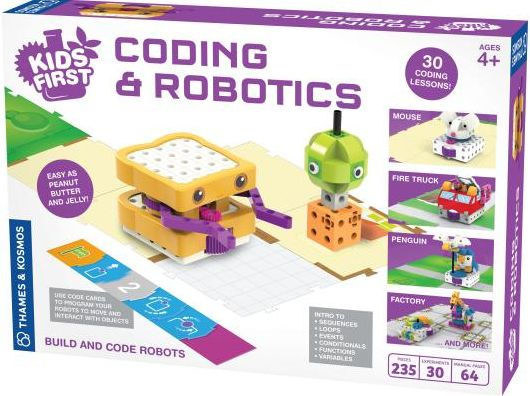 A coding and robotics starter set for the kiddo who has been begging for a robot of their own. Can we talk about the fact this lil' robot is shaped like a peanut butter and jelly sandwich? His name is Sammy (aw!) and he teaches children about basic coding principles with the help of code cards. The kit also comes with 30 additional lessons in computer science, perfect for kids ages 4 and up. 16. This 1,000-piece Bambi puzzle that any homebody will love using as an excuse not to go out. There are few things as soothing as hunkering down on a rainy or snowy night to work on a massive puzzle like this one. Featuring characters from the classic Disney movie Bambi, the end result of this project is truly stunning. Honestly this gift is ideal for anyone who loves both the magic of Disney and the comfort of hanging out at home. 17. This motivational tumbler that will remind your friend how special they are each time they take a sip. Do you have a friend who's constantly vowing to drink more water? Help them out this holiday season by gifting them this chic, motivational tumbler! It holds 20 oz of water, is made of acrylic, and comes with a silicone straw. Overall, it's super cute and I want one for myself! 18. Nicholas Sparks' latest love story for the hopeless romantic in your life. I have read SO many Nicholas Sparks novels in my day and I know most of my friends (and our moms) have as well. Any devoted Sparks fan would be lying if they didn't say they're just waiting to get their hands on his latest book, Every Breath. This story was inspired by an actual mailbox on a beach in North Carolina, so after gifting this book maybe y'all can go on a road trip! 19. A trendy lunch bag to accompany your BFF to work or school each day. Brown-bagging it has never looked so cute! I can't help but think of "Strawberry Fields Forever" when I glance at this fruity lunch tote. Featuring pretty, gold bow zippers and a practical handle, this Kate Spade tote will be much appreciated by your commuter friends. 20. This debut book from Justin Timberlake that will have any old-school NSYNC fans internally (or externally) screaming. Honestly, the dazzling photo of JT on the cover would be enough to sell me. This book dives deep into Justin's observations and reflections on his own life and includes a bunch of personal photos. This is easily a go-to gift for anyone in your life who can't get enough of Justin Timberlake. 21. A sticky note set for your work wife who actually is always "very busy." What could be better than a set of sticky notes in different sizes and designs?! Your closest work companion (or family member who is a workaholic) will love receiving this cute-but-actually-practical gift. 22. This tote that will prevent your book-obsessed friend from breaking their back carrying their latest read around town. I once had to pause reading a biography about Queen Elizabeth II because it was too damn heavy to bring around with me each day. That unfortunate event probably could have been avoided if I had been gifted this tote! Not only is it perfect for lugging around novels, but it features a motivational quote that makes me just want to keep on reading. The bookworm in your life will certainly agree. 23. A young adult novel to make a person in your life who's dealing with anxiety feel less alone. I cannot say enough about John Green's latest novel, Turtles All the Way Down. You may know him for other tearjerkers like The Fault in Our Stars or Paper Towns — and if you do, you're aware of how powerful his writing is. The characters in this story are enticing, relatable, and perfect for teaching someone in your life about mental illness in a way that doesn't feel too difficult to understand. This is a book that any reader would be happy to receive, I promise! 24. This special version of Monopoly that is straight out of a galaxy far, far away. The force is strong with this board game! This version of the classic Monopoly game celebrates the 40th anniversary of Star Wars Episode IV: A New Hope (the very first of the epic films). Can you imagine how excited the young jedi in your life would be to open this on Christmas morning?! 25. And Homebody by Joanna Gaines, to inspire your sister who is obsessed with Fixer Upper to do something with her own damn house! ...and to stop suggesting things I should do to mine. In Homebody: A Guide to Creating Spaces You Never Want to Leave, Joanna Gaines walks us through how to decorate our homes so that it reflects our personalities. I don't know about you, but I could use the help — and your friend or family member probably could, too! So there you have it! Barnes & Noble is about to be your one-stop shop this holiday season!